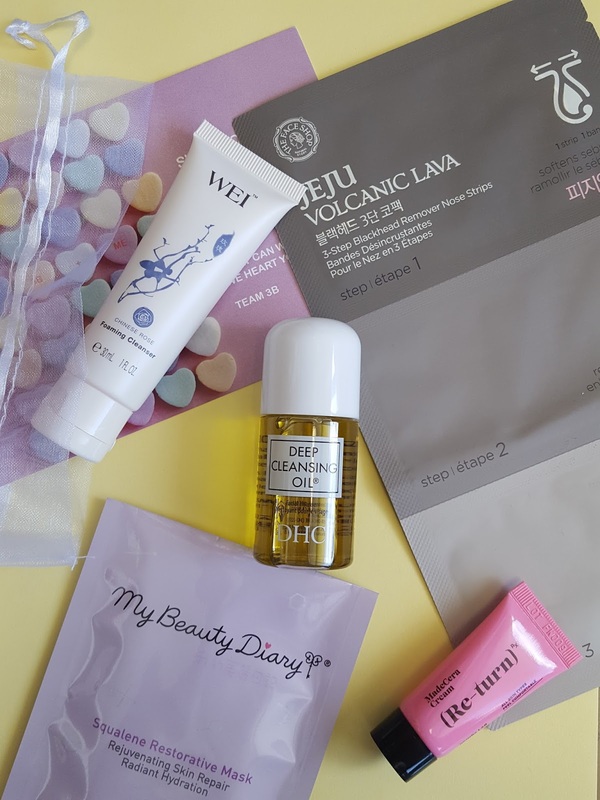 The first thing I thought when February's 3B Box came in was "OMG cleansing oil!!!" Ever since 3B first introduced me to this miracle worker over a year ago I was hooked. Then I saw the nose strips and I pretty much cartwheeled across my living room. February is the month of love, and so far I'm loving what I see. DHC Care Deep Cleansing Oil (1oz, $3) - Cleansing oils are one thing that you'll never find me without. I'm willing to try any brand at least once, like this one with roots in Japan. What started as an educational translation company morphed into a huge beauty enterprise when researchers stumbled upon an exceptional grade of olive oil from Spain. Needless to say, this cleansing oil is built around that special olive oil. If you can get past the heavy olive oil scent, then you'll love how easily it spreads across your face. It rinses clean without any oily residue. I haven't tried removing makeup with it yet, but that's next on my to do list. 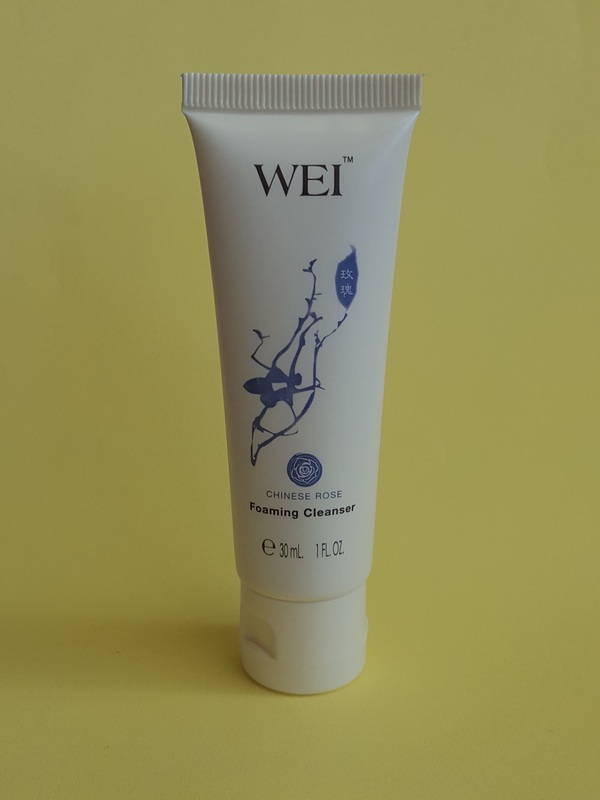 Wei Beauty Chinese Rose Foaming Cleanser (1oz, $5.50) - Ooh, this cleanser looks lovely. It's kind of pearlescent and foams nicely with just a tiny dab. Chinese Rose leaves skin nourished and vitamin C brightens up your complexion. The only thing I don't care for is the scent. It smells like rose (obviously) but not intolerably so. I guess I could just hold my breath while using this. 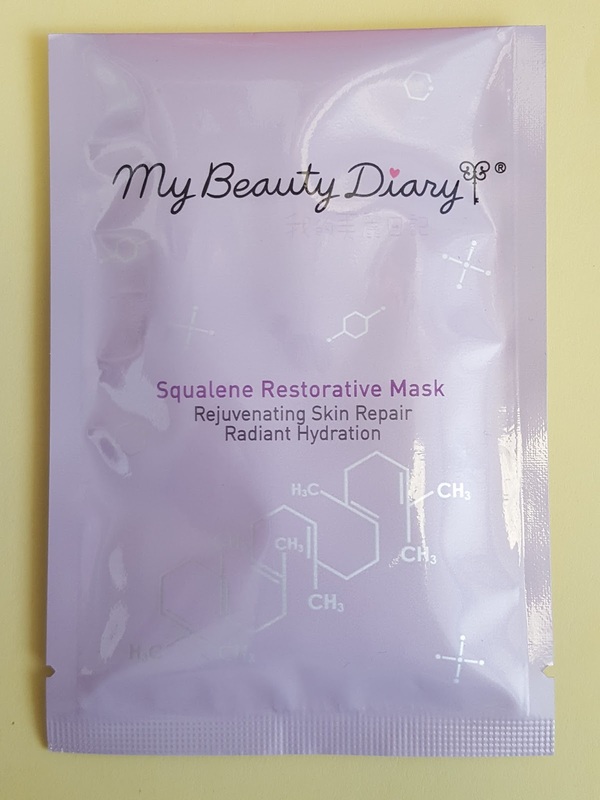 My Beauty Diary Squalene Restorative Mask ($2) - This mask contains plant squalene (more specifically from olive oil) to nourish dry, damaged skin and create a moisture-locking barrier that prevents further loss of moisture. Marine glycoprotein and vitamin E round out the key hydrating ingredients and leave your face soft and rejuvenated. Too much squalene can be comedogenic, though, so if you have oily or acne-prone skin (as I do), you might want to opt for something with (plant-derived) squalane instead. SkinRX Madecera Cream (5ml, $3) - The main component in here, madecassoside, is a compound found in the plant Centella asiatica. It has strong antioxidant and anti-inflammatory properties and can also stimulate collagen production. Last month 3B subscribers received a mask from this brand that contained the same restorative compound. 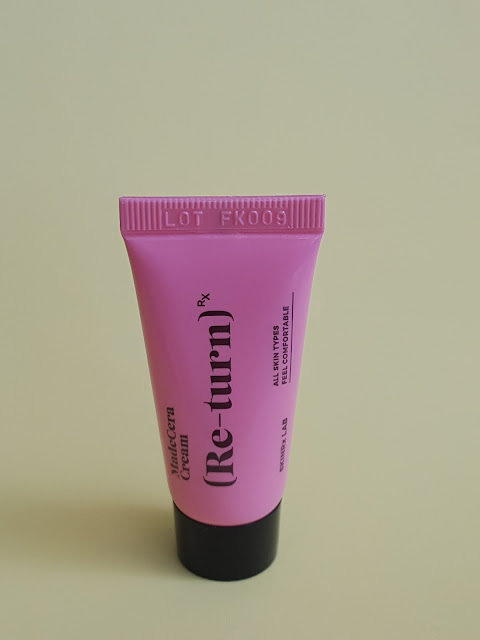 I haven't gotten around to using that mask yet, so I'll try that first and if I like the results I'll have a whole mini tube of this stuff to use! TheFaceShop Jeju Volcanic Lava Nose Strips ($4) - I know there are less invasive ways to remove blackheads and large sebaceous filaments but nose strips continue to be my favorite. Must be the feeling of accomplishment after seeing everything I pulled out. :-P So grossly intriguing, kind of like witnessing the aftermath of a foot peel. 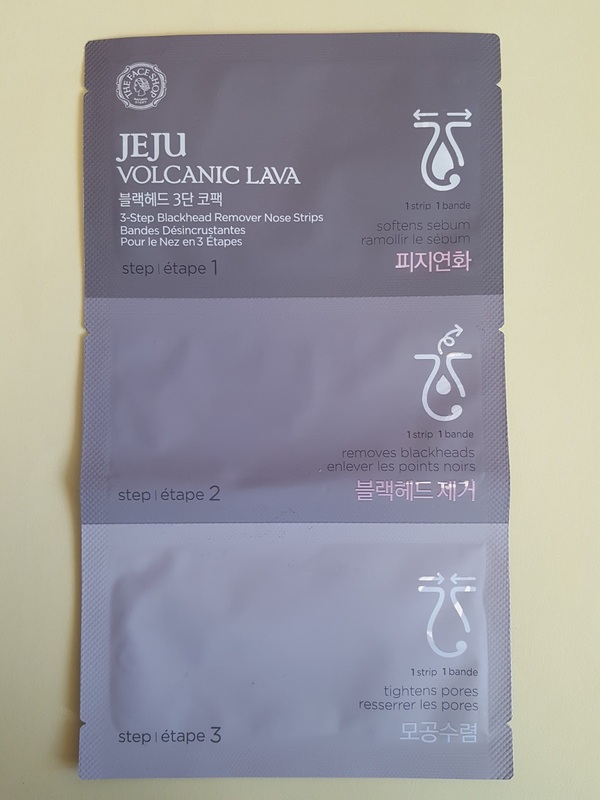 This 3-step pack contains 3 strips - 1) one to draw out sebum, 2) one to pull out the gunk, and 3) one soaked in essence. Each strip stays on between 10-20 minutes so it's a pretty lengthy process - longer than I'm willing to spend on a regular basis, especially since the results were the same as with any other charcoal nose strip I've tried. Within two days the bumpies were back and my short-lived euphoria was over. Verdict: Oil cleansers will always be one of my favorites and so far I have no qualms about this DHC one. I just threw out a bottle out the other day because it actually made me break out more, even after I gave it a month; hopefully this one treats my skin better. The nose strips were fun but were more hassle than they're worth. I'd rather stick with the plain ol' Purederm ones (and they're cheap!). Click here to sign up for 3B Box for $15/month (free shipping). They will ship to anywhere within the US.